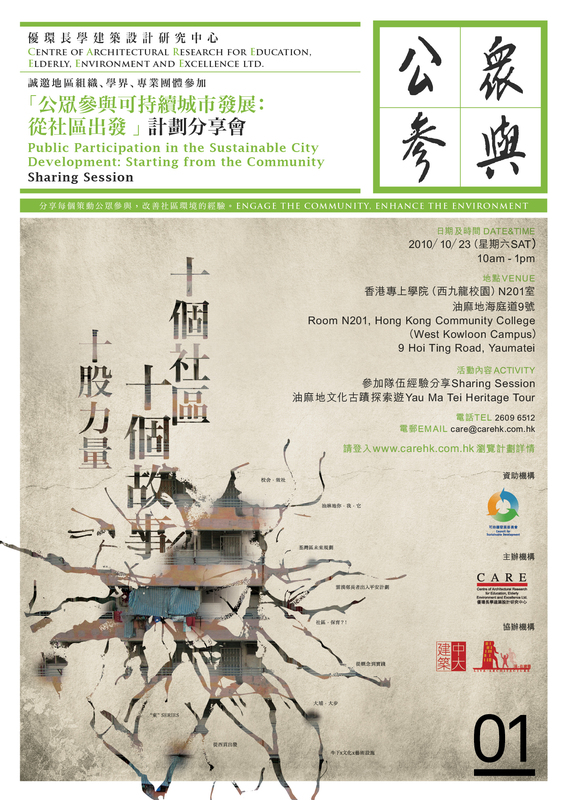 We are now inviting the public to join the sharing session of the “Public Participation in the Sustainable City Development: Starting from the Community” project and the Yau Ma Tei Heritage Tour. 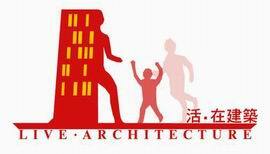 The project is funded by the Sustainable Development Fund, organized by CARE and co-organized by the Community Participation Unit, School of Architecture, the Chinese University of Hong Kong. 10 teams are invited to explore the community development issues in their own districts, and through the means of “public participation”, stakeholders are able to contribute to the sustainable development of their communities. The comments and suggestions will be passed to the relevant governmental departments for further considerations. During the sharing session, each team will share the experience and insights they gain from their own projects. A Yau Ma Tei heritage tour will be held afterwards. All the participants are welcomed to join and share their thoughts and ideas with the teams.